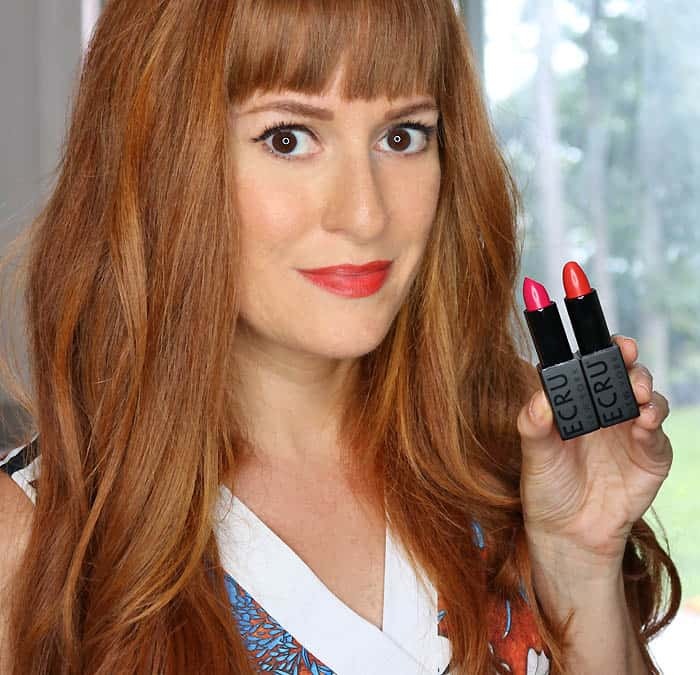 The upcoming autumn season has me feeling so inspired! I have so many new knitting patterns to share, plus a new knitting e-book (eek!) and tons of DIY/sewing projects! 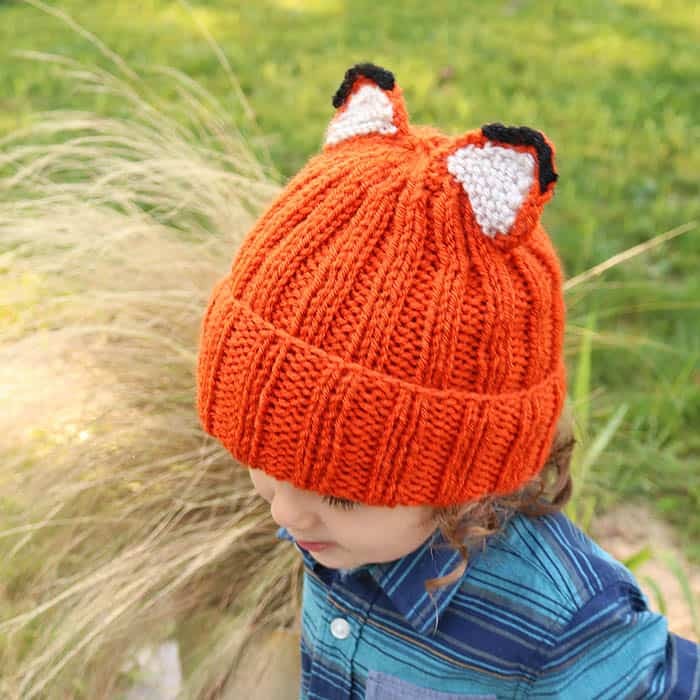 Today, I wanted to share this Fox Hat Knitting Pattern. I’m really happy with the way this turned out! It’s relatively easy to make. The hat is ribbed and the ears are knit on afterwards with double point needles. I did some experimenting with the ears and I found that they look best knitted with the white yarn and then a single crochet of orange all around and a single crochet of black at the top. This was also the easiest method. I hope this bit of crochet doesn’t exclude anyone from making the pattern. I figured most knitters probably know a little (if not a lot!) of crochet. 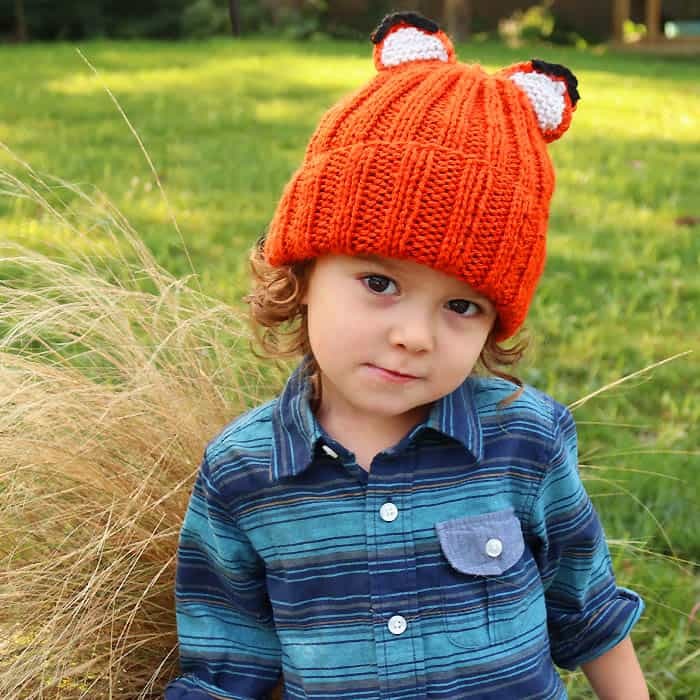 Want more Animal Hat Free Knitting Patterns? download that conveniently prints on 1 page. Cast on 64 sts. Work in K2, R2 ribbing for 9 inches. Knit 2 together across round until only a handful of stitches remain. Break yarn and pull through remaining stitches. Pull to tighten and weave in ends. With the double point needles and the linen yarn, pick up and knit across 10 sts. The ears should begin about 1 inch from the center of the hat. Knit 3 rows. Decrease: Knit 2 sts. together at the beginning of each row until you are left with 1 stitch. Break yarn, pull though and pull to tighten. Weave in ends. With the terracotta yarn, make a single crochet around the ear. With the black yarn, make a single crochet on the top 6 sts. of the ear. This is so cute!! Thank you for sharing the pattern!! Bookmarked!